Ophthalmologist use LASIK procedure to correct certain vision related problems such as, near sightedness or astigmatism. This refractive surgical laser procedure is specifically beneficial to people who rely on contact lenses or eyeglasses to correct vision anomalies. Over the years, LASIK surgery has become extremely popular due to its effectiveness in correcting common forms of vision problems, and due to its high success rates from patients around the world. 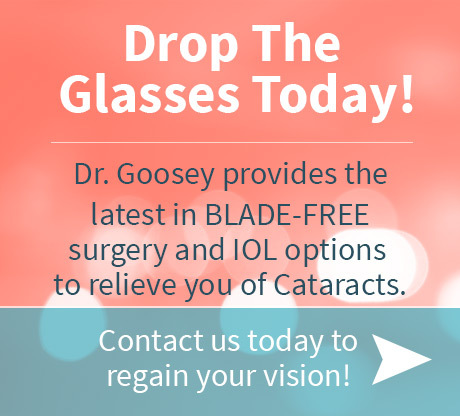 This blog is dedicated to those LASIK surgeons, like Dr. John Goosey, whom we heartily appreciate for their skill and expertise in the art of helping us see clearly! Prior to surgery, the LASIK surgeon applies a topical anesthetic (numbing eye drops) on the patient’s eyes to eliminate pain and discomfort during the procedure. After this, the surgeon positions the patient under a device called an excimer laser, and uses an eyelid holder is to keep the patient’s eyelids open. At the same time, the surgeon uses a suction ring to keep the patient’s eyes immobile during surgery. The surgeon uses an extremely fine microkratome blade or a femtosecond laser to cut a thin flap in the cornea (outer layer of the eye) to peel it back and reveal the underlying corneal tissue. This is where the surgeon reshapes the corneal tissue as required to correct vision; and finally returns the corneal flap to its original position. It’s important to note that the excimer laser is usually pre-programmed with each patient’s unique eye measurements to ensure that the laser is correctly positioned. 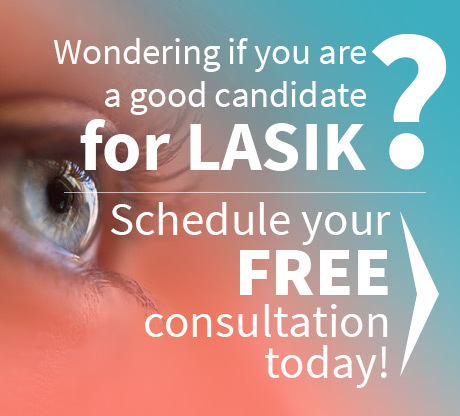 LASIK surgery is typically performed in an outpatient surgical suite, and can take less than 20 minutes to complete. Ophthalmologists may require patients to rest in the outpatient facility for about 10 to 15 minutes’ post-surgery to ensure that everything went well. Surgeons recommend wearing protective sunglasses during the day and eye shields at night to protect the eyes throughout the first week after surgery. More importantly, patients must avoid rubbing their eyes for 8 to 12 hours’ post-surgery because doing so could displace the corneal flap. It is also advisable to follow your surgeon’s instructions on maintaining eye lubrication and antibiotic eye drop usage to prevent infection. One of the 1st benefits that patients experience is CLEAR vision within 24 hours after surgery, without the use of glasses or contact lenses. Another great benefit is that LASIK surgery doesn’t require hospitalization; patients go home 60-120 minutes after the surgery. In some cases, patients have reported enhanced self-confidence, because they no longer have to hide their eyes behind glasses. A final benefit is for active and athletic individuals who no longer have to concern themselves with wearing corrective lenses during important activities. Read more of Dr. Goosey’s patient testimonials, or feel free to schedule your FREE LASIK Consultation.